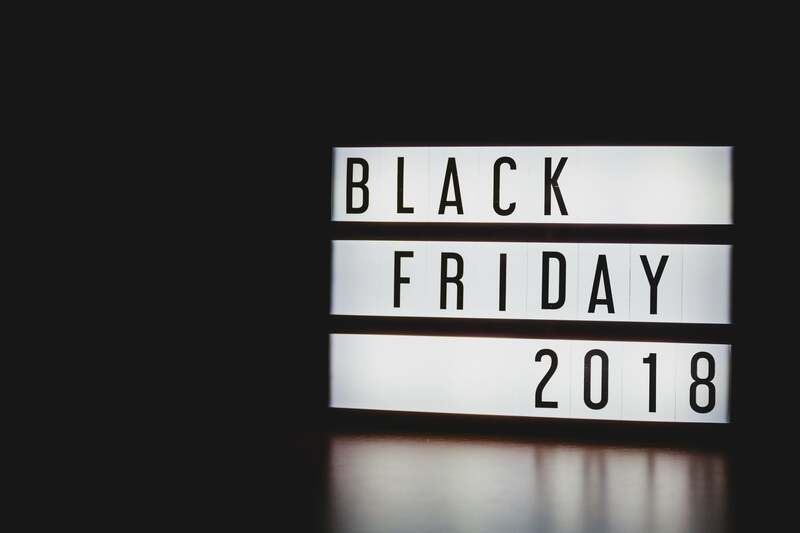 Black Friday 2018 is nearly here, and we've got your guide to some of the best photography deals of the year. Whether you're in the market for hardware or software, a prime lens or a zoom, or something in between, we've scoured the internet for awesome deals to pass along to you. Photo Mechanic by Camera Bits is a fast media browser that allows you to view, organize, manage and export your digital images quickly and easily. 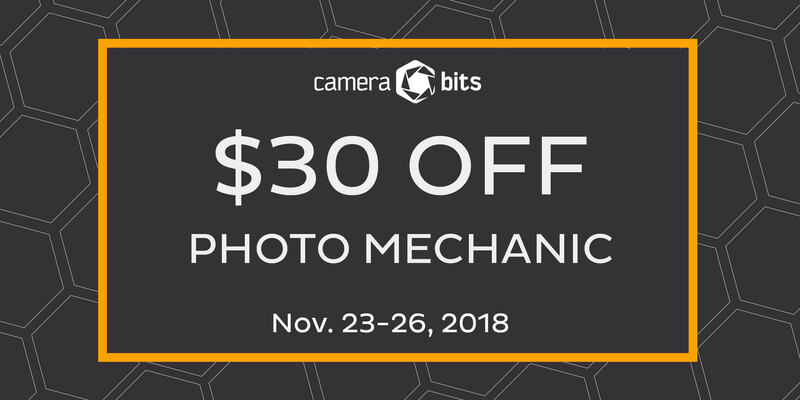 If you're already a Photo Mechanic user, you can get $15 off on an upgraded license during this Black Friday sale, too. The HiiGuy Camera Strap is the nexus of form, function, and price. 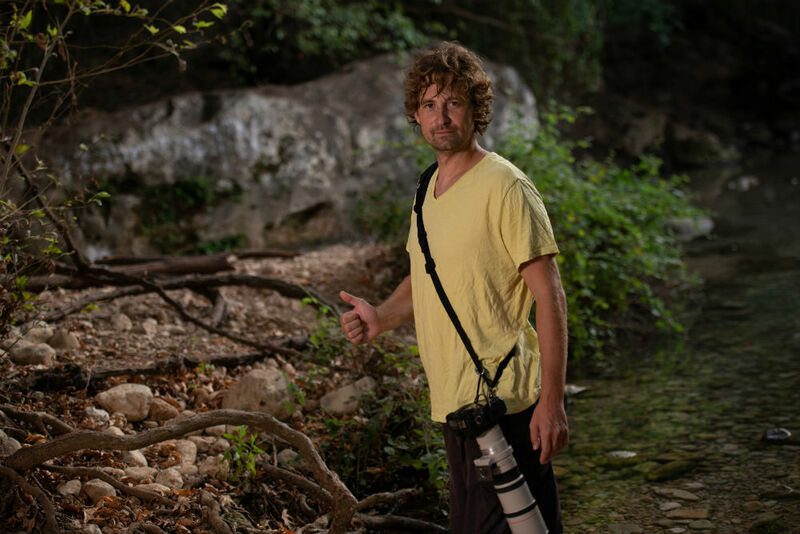 Not many budget-friendly camera straps can boast such excellent performance, comfort, and intuitive design! This Black Friday, get an extra 25% off at HiiGuy.com as well as an extra lens cloth and an extra stylus pen. It's a complete swag bag that any photographer will love! Exire Lightroom Plugin - Massive Discounts on "Search" and "Search Pro"
The worst thing about Lightroom is the process of manually tagging all your photos. If you don't tag, it just becomes an overwhelming mess of photos that's impossible to organize and search. 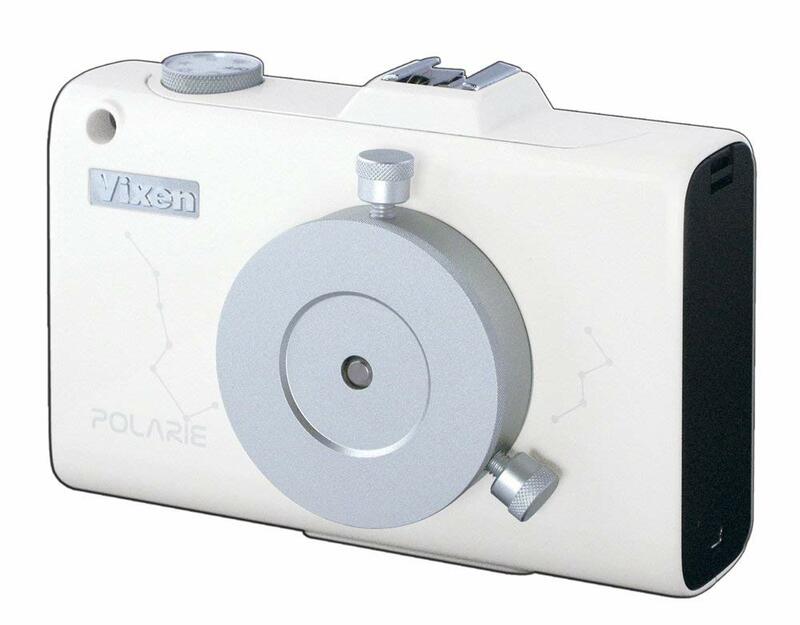 Excire changes all that though by using artificial intelligence that automatically tags your images for you. This Black Friday, get Excire Search - which offers 125 keywords for organizing and searching your images for just $33 (normally $69). 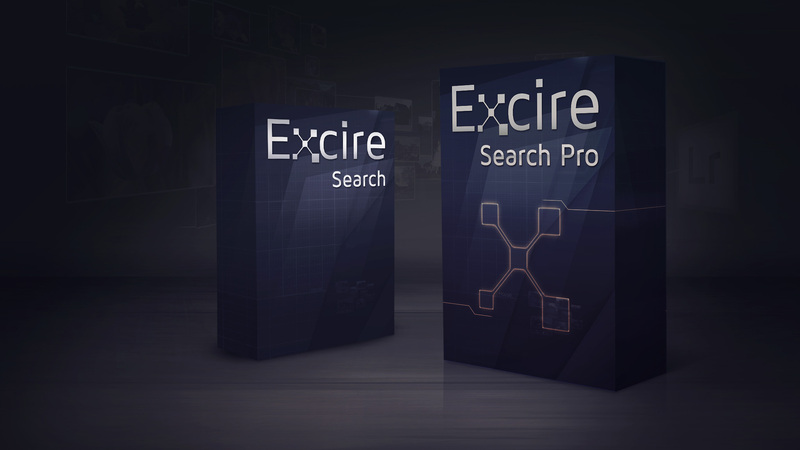 Excire Search Pro, which offers 500 keywords and the ability to transfer those keywords to your existing image library, is just $55 (normally $119). MrStarGuy is a go-to destination for astrophotographers of all sorts, from newbies to seasoned pros. That's because MrStarGuy has a collection of gear that's second-to-none, with excellent prices to match. 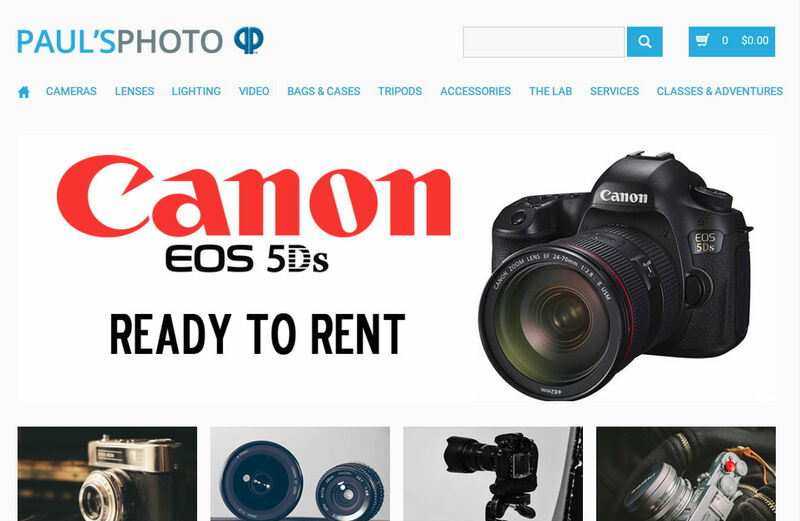 MPB is one of the world's largest used photography gear retailers, so no matter what kind of gear you need, chances are you can find it at MPB. I should know - I've bought (and sold) my fair share of gear with MPB over the years! 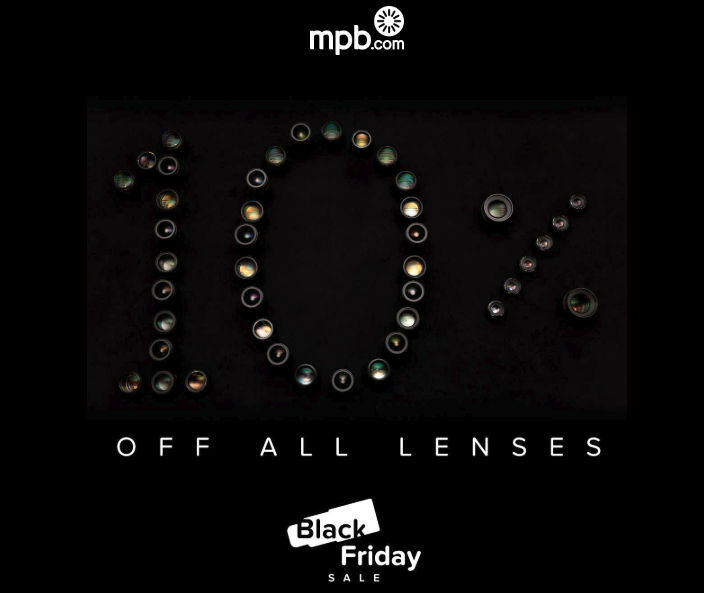 Their already well-priced pre-owned gear is even less expensive this Black Friday, with 10% off any lens purchase. 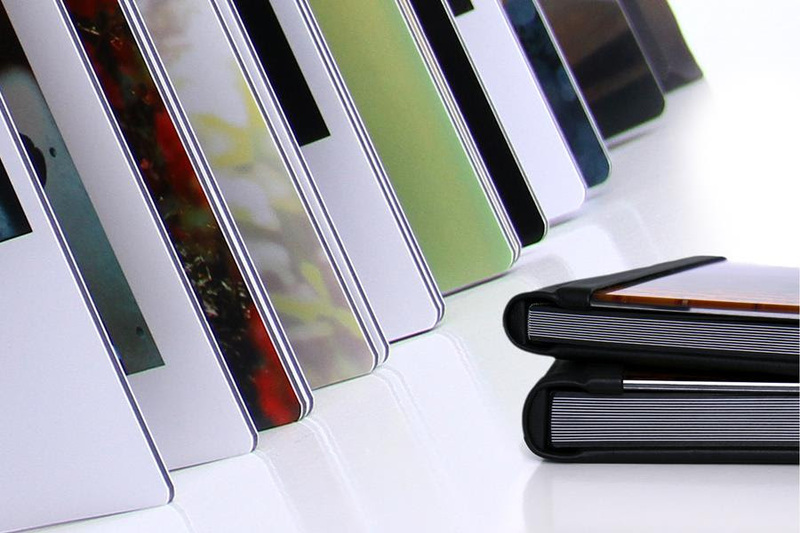 Elegant Album is your go-to printing and binding solution for beautiful, high-quality photo albums. Not only that, but Elegant Album has built a reputation as a team of creative, friendly, dedicated professionals that value each and every customer. This Black Friday, you can double your pleasure by getting 50% off an album with the purchase of a flush mount album at regular price. Just mention code BFS2018 to get the discount between November 21st and November 24th. Ask any photographer what the best lens on the market is, and a good portion of them will say some variation of Sigma's impeccable Art line of lenses. There's also tons of deals on zoom lenses, contemporary lenses, and accessories! Paul's Photo always has good prices and a great selection, and that's no different this Black Friday. In fact, Paul's Photo is blowing the doors off many items, with up to hundreds of dollars off on select items. 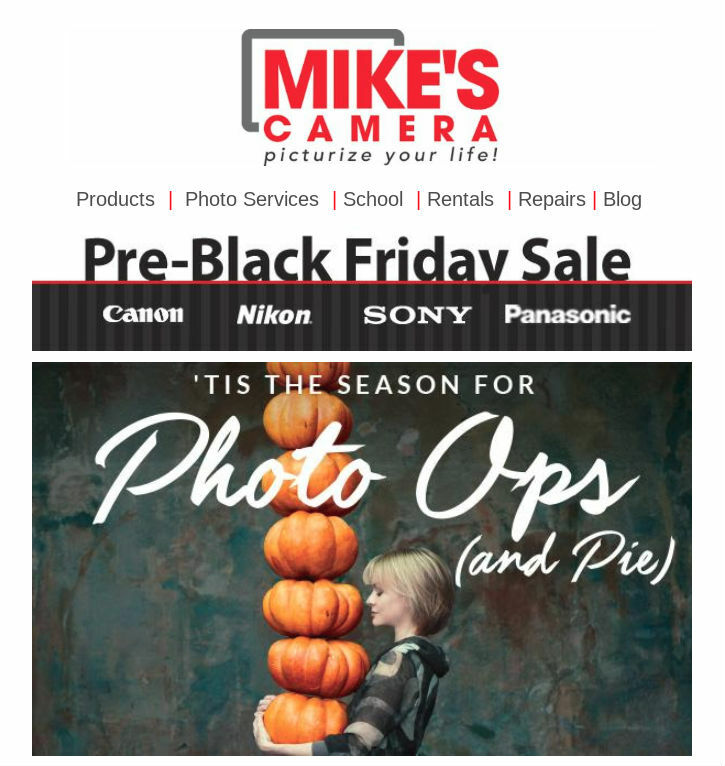 With 10 superstores throughout Colorado and Northern California, Mike's Camera is a go-to destination for amateur and professional photographers alike. With a huge inventory and knowledgeable staff, you can find what you need quickly and easily at Mike's. iMovR makes beautiful, functional desks that allow you to sit, stand, and exercise while you work. Their ergonomically-sound products are durable and come loaded with features that help you live and work in a more healthy manner. If you want some comfortable, warm, and highly functional gloves for your next photography outing, look no further than FRDM. Through November 26th, you can add some of these beautiful gloves to your collection for 30% off. I happen to have a pair of FRDM gloves, and I can tell you first hand that they are a great asset to have when I'm out shooting on chilly mornings! 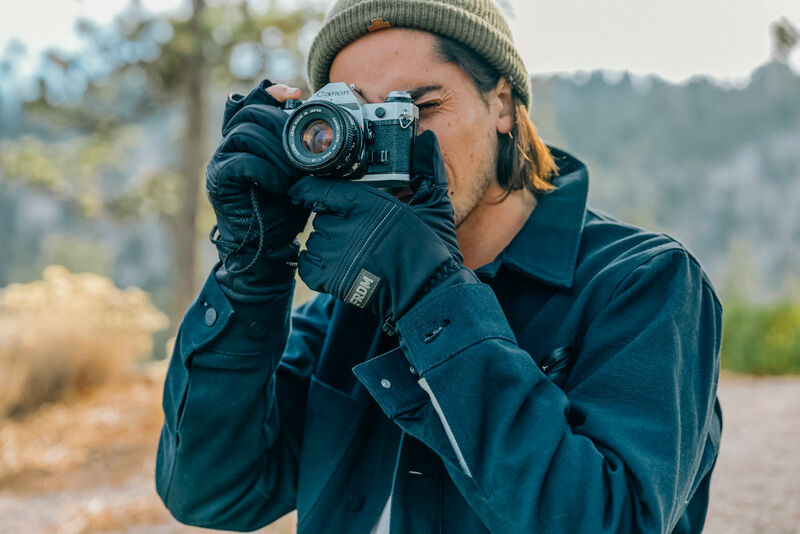 Between the water-repellent and windproof fabric, the fold-back flaps on the thumbs and index fingers, and the grippy silicone pattern on the palms, these gloves are perfect for photography.